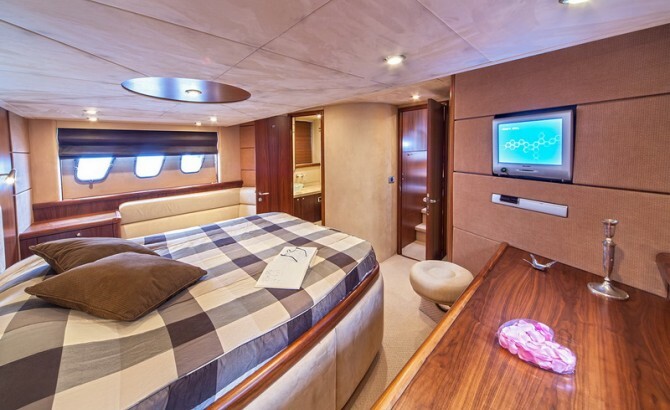 …a luxury yacht for rent in Croatia. 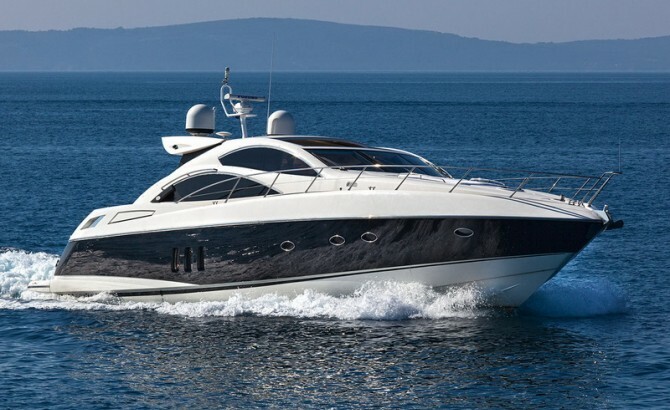 Sunseeker Predator 62 is available in marina: Split, Trogir, Sibenik, Zadar, Sukosan, Dubrovnik, Biograd, Murter. 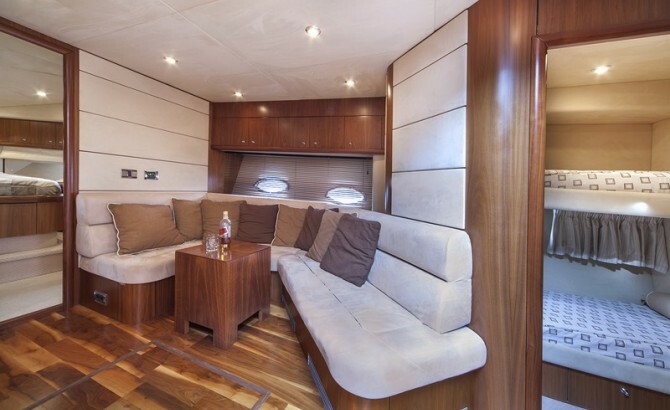 Sunseeker Predator 62 is a luxurious motor cruiser, available for hire in Croatia, with chartercroatia.net! 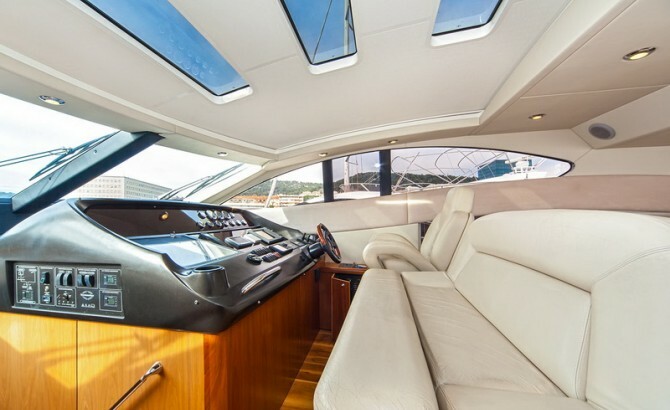 The 62 is a perfect yacht to cruise the Adriatic in style and with speed. 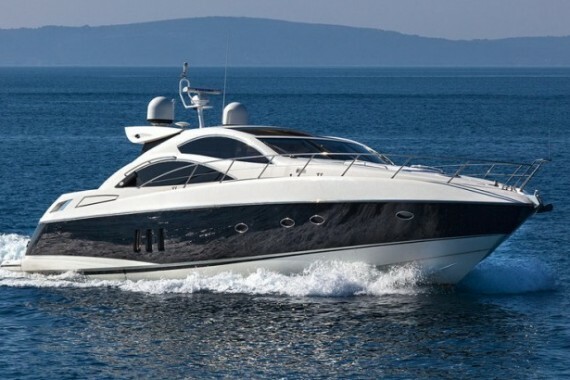 This is a sport yacht, reaching up to 30 knots while planning, maintaining perfect stability, due to its perfect shape. 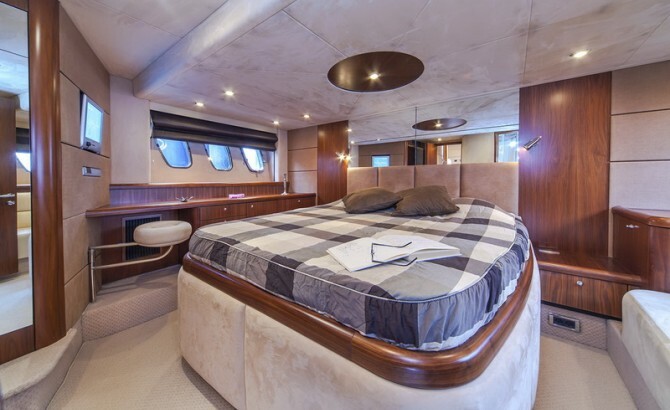 The luxury, and modern style used in the making of this yacht is simply undeniable, both outside and inside. 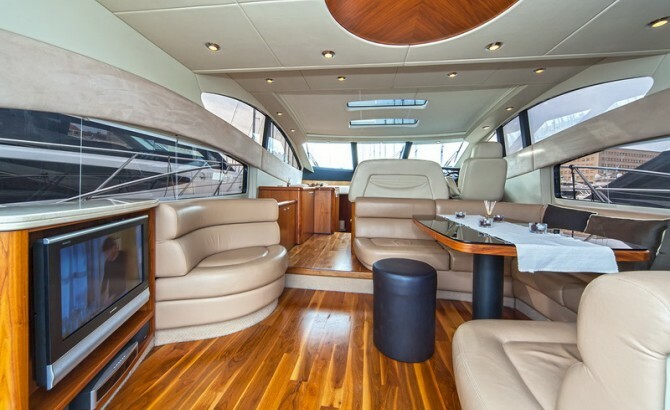 The exterior is shaped in sleek lines, with the use of natural colors, adding to the feeling of speed an dynamic, As with all Sunseeker yachts, this one also has an open spaced cockpit build for you to enjoy, while sunbathing, eating, or simply socializing! 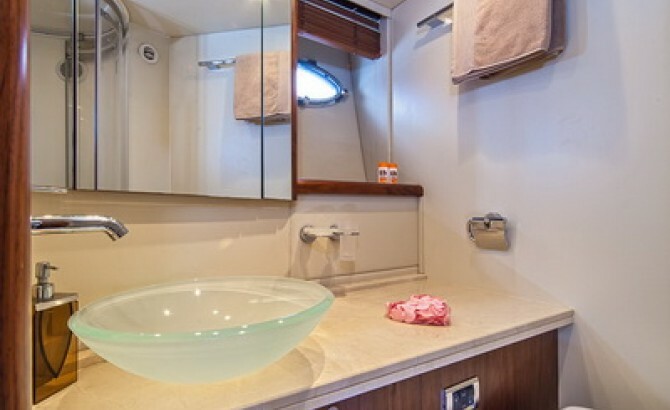 Also there is a platform on the stern assuring easy access to the sea at any time. 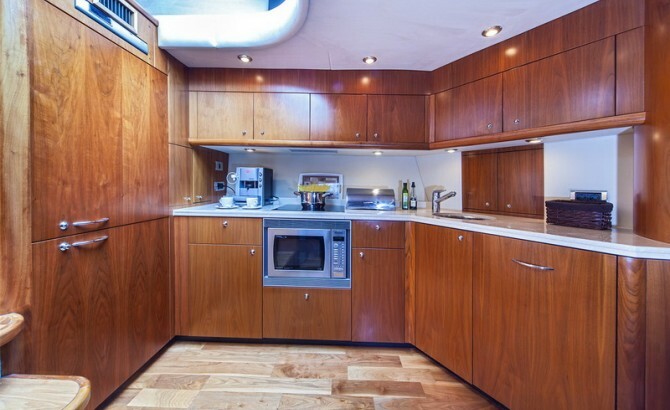 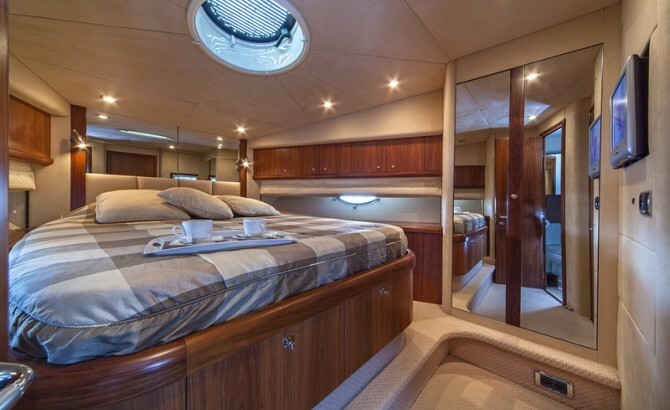 There are 3 luxurious cabins made to perfectly accommodate 6 people. 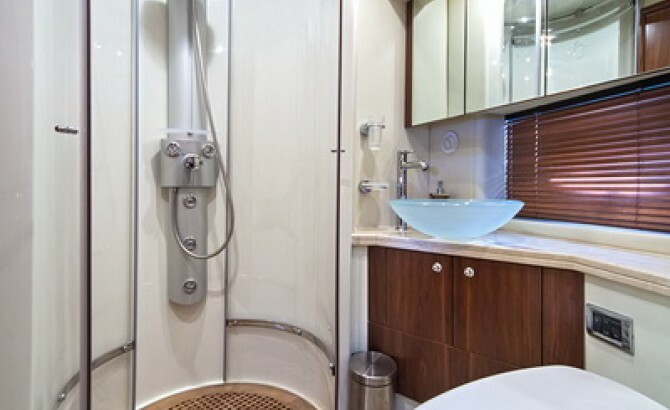 The crew which is located in a separate cabin, will make your stay even more perfect! 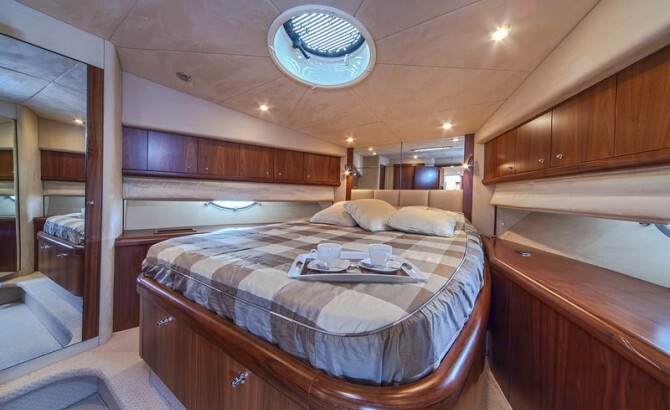 Here you can find basic information about Sunseeker Predator 62. 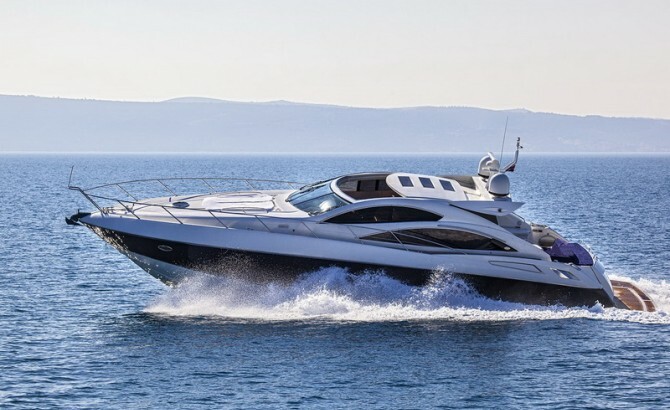 Other specifications, can vary from boat to boat, therefore we recommend to search for particular Sunseeker Predator 62 from our database, in the destinations of your preference.